The 1969 Charger Daytona was likely one of the wildest of muscle cars to ever be produced. 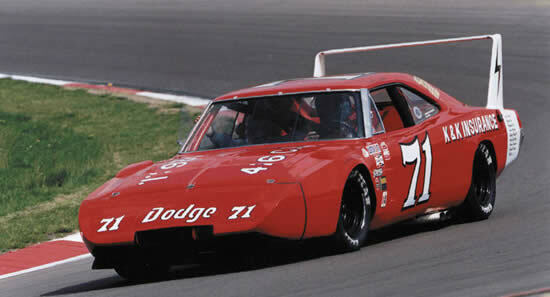 It, along with it’s Plymouth twin, the Plymouth Superbird, were developed for use in NASCAR racing. 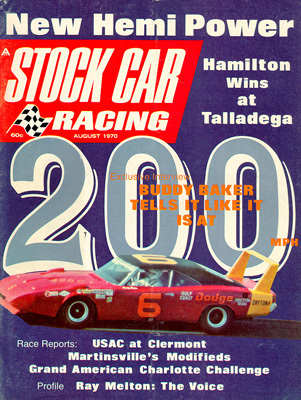 In the late 1960’s General Motors, Ford, and Chrysler were having intense battles for stock car racing supremacy. While Ford was creating the Torino Talladega, Chrysler was hard at work creating their own highly aerodynamic vehicle. The Daytona essentially came about from modifying the Dodge Charger’s front end, and rear window. In fact, the Daytona Charger closely resembles a Dodge Charger 500 with the exception of the nose and rear wing. The Daytona received a very sleek and bullet like nose as well as a fully functioning rear spoiler that was mounted high above the rear deck. This provided clearance for entry to the trunk. Other visual clues include reverse scoops on the top of each fender which were supposedly for tire clearance. However, some believe they were in place to allow air pressure to escape from the nose of the vehicle at high speed. Like other specialty vehicles built for homologation, only approx. 560 Charger Daytona’s were built. All were constructed by Creative Industries. On the exterior and interior the Daytona Charger appears much like the Charger R/T the car was built with the exception of the nose and rear spoiler. As well, the powertrain options were limited to the 440cid and the 426hemi. However, buyers had a choice of automatic or four speed.